Welcome to Part 4, the final part of my introduction to Black Seed Oil and it’s remarkable health benefits. In Part 4, I will discuss Black Seed Oil side effects, what to look for when buying and how to take it. Discover what the plant is good for in Part 3. It isn’t recommended during pregnancy. Other than that, there are no side effects if taken moderately. Black Seed Oil is a very potent medicinal plant and it’s best not to exceed the recommended dose of 3 teaspoons per day (adults). It is also recommended contacting your health care practitioner if you are taking other medications. A common cause of adverse reactions with herbal supplements is taking too high a dose too quickly. Your body can only clear out toxins and congestion at a given rate and exceeding this rate causes you to feel unwell. Start on a low dose and slowly build up. Stored in dark coloured glass to keep the temperature down, the light out and from going rancid. I’ve started to take this Black Seed Oil as it met all the criteria, plus it comes with a unique anti-spill pourer to avoid spillages/waste. I rang the company up to ask about their farming and processing methods and spoke with their fully qualified medical herbalist. Although not all their products are certified organic, they are working to get their lands certified organic. They have confirmed that their products are grown without harmful pesticides or chemicals and this is rigorously tested for. They do, however, offer this organic Black Seed Oil which meets all EU requirements for organic certification and the volatile content is typically 1.2% – this is recommended for children up to 8 years old, those who are very sensitive and those who suffer from severe allergies. They offer three different strengths of Black Seed Oil. The strength lies in the content of volatile oil. Their oils vary from 1% (MILD) to 4.9% (STRONG) – their STRONG oil is the strongest Black Seed Oil available anywhere… in the world! Most Black Seed Oil on the market contain somewhere between 0.3% and 1.2% of volatile oil! Due to their high standards, constant analysis and stringent checks, they are so confident in their products that they offer a 1-year-no questions asked, money-back guarantee. They will pay for return postage – even if the bottle is empty! I hope to write a future article on my health experiences of this product. From my research on this small yet powerful seed, I have high hopes that they will be positive! I’m currently taking mine with a teaspoon of honey on an empty stomach, first thing in the morning. Double-remedy whammy! It is also advised not to be heated as this action can damage the beneficial properties. Have you used Black Seed Oil before? What did you take it for? Did it help? Were you aware of the vast amount of ailments it can help with? I hope you enjoyed the read and would love to hear your thoughts and comments on this. Peace be with you. 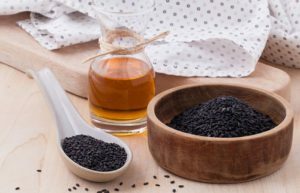 Black Seed Oil Side Effects - Are There Any? "A Remedy For Every Illness Except Death" - Part 4 - Learn about Black Seed Oil side effects - are there any, what to look for when buying and how to take it. Thank you for sharing if there are any black seed oil side effects. Here I see that there are no side effects if it is taken properly other than the fact that it is not good during pregnancy. This is great news. You’ve done a great job here. 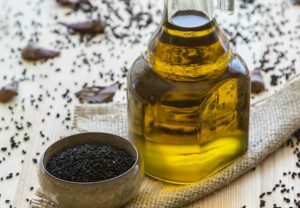 Pretty much everything we need to know about black seed oil from what to look out for before buying and how to take it too. Happy to connect with you again my friend. Thanks for the positive vibes. I will be writing a more detailed article in how to take it soon, so stayed tuned! Interesting – I had not heard of black seed oil. I have suffered from irregular periods for all of my adult life and I see that black seed oil can help this – I will definitely read some more about it. If you are trying to get pregnant do you think it is advisable not to take it? I’ve contacted the company in response to your question and they advised that it isn’t safe to take if trying to get pregnant and obviously if you were pregnant. This is because Black Seed Oil can make the uterus contract and has strong detoxifying effects. It is safe, however, to apply topically on the skin. I hope this helps and wish you well in taking this incredible little plant and hope you return with your experiences. I had not heard of Black Seed Oil until I read your post. I am really glad you mention early in your post that taking too large a dose of herbal supplements can make you feel sick because the body can’t clear away toxins fast enough. That’s a great way to explain it. This sounds like a good product in that the company is working to bring everything up to organic certification standards. Is that true about Black Seed Oil – that it is a remedy for every illness except death? That’s a humorous way to put it. Many thanks for your comments and question. Yes, it’s true that it is a remedy for every illness except death. In Islamic literature, Black Seed is considered as one of the greatest forms of healing medicine and it’s most famous for the hadith (sayings) of the Holy Prophet Muhammad (pbuh), “Hold onto the use of the Black Seed for it is a remedy for every illness except death.” This was mentioned 1400 years ago and since 1965, there have been over 1000 different scientific peer-reviewed articles that have published about the positive effects and health benefits of it! Quite staggering and overwhelming if you think about it! Thanks for visiting. I’ve never heard of Black Seed Oil and it sounds really interesting. Perhaps it’s not that common in Canada yet? My daughter has allergies to our dogs so when she comes to visit she suffers even with antihistamines. I’m going to pass this information on! Celiac and leaky gut is also an issue for her and I wonder if it would be of benefit if she gets accidentally “glutened”. I will also leave this comment on your site comments. Your page is beautiful and your posts are well researched informative and personal at the same time. Your links work well and I appreciated how easy it is to hop between part 1, 2 and 3. I can’t think of anything you should fix! thanks very much for your thoughts and insights. 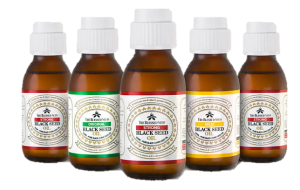 Black Seed Oil has been used historically as a powerful medicinal herb for thousands of years in the Middle East and parts of Asia and Africa. It’s becoming a hot topic in the West too – especially in the UK, USA and Germany, so hopefully in Canada soon! I have never heard of this but it sure looks like it can be used to help people with commons health conditions. The side effects seem to be minimal and it’s easy to take. It’s a good as organic where they don’t use pesticides,the people behind the products seem to be genuine so I figure black seed oil is a winner. The Black Seed and the oil derived from it is considered safe to take every day as a home remedy for boosting good health and preventing disease yet it is also powerful enough to treat almost all of the chronic diseases that is so prevalent in society today. Plus, it’s ideal for the first aid herbal kit too.